This one’s for you Art! Shout out to you buddy! As most of you know, Art suffered an achilles injury and just had surgery not too long ago. You may have seen JB’s Instagram post earlier this week of Art on his legit scooter, or you may have seen him zipping around on it in the gym during the morning classes. Clearly his injury isn’t slowing him down! What I really wanted to commend Art on is his mind set and positivity. Sure it’s easy to get down on yourself when you have an injury, but it happens. We exercise to prevent injuries and to strengthen our body and minds, but at the end of the day, there are always going to be freak accidents that are simply out of our control. Life. What we CAN control is how we deal with these situations that we are unexpectedly thrown into sometimes. 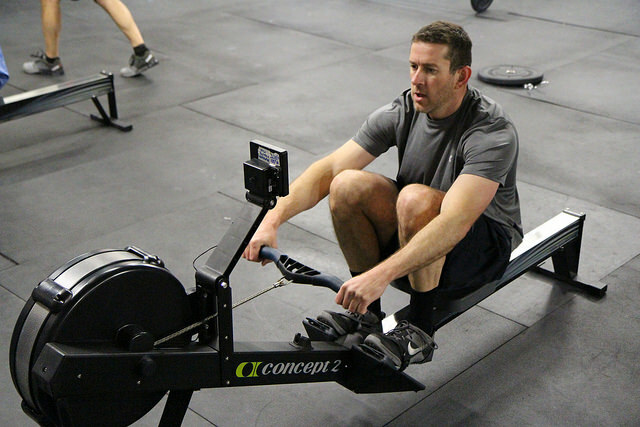 One of the things I enjoy about CrossFit is that there are plenty of situations or moments in workouts where I am challenged to find a way to get things done. Whether it be self-talk, encouragement from my fellow Sweat Shoppers, or a donut at the end of a workout we all have developed the tools to keep moving and simply…get things done. Now if you’ve been around Art enough, you can see that he is most likely the one with an obscene amount of energy (sometimes too much haha), confidence, and positivity. He’s always encouraging people, striking up conversations, or just getting to know you. And ever since his injury, NOTHING has changed! It’s easy to be happy-go-lucky when everything is going your way, but what happens when you are faced with adversity? Be positive or be sad the whole time? Find a way to still do what you enjoy or sit around at home? Get things done or let everything pass you by? I don’t know about you guys, but I’m all for the former in each of those! Clearly…so is Art! Either way, Art has his head on right as proven by how he’s continuing to find ways to enjoy what he loves to do…CrossFit (in a safe manner of course)! You can see him doing some seated ski erg intervals, rowing, a ton of sit ups/russian twists (he’s super excited about these actually), STRICT l-sit muscle ups from the ground, and of course…..the bench press/bicep curl superset! Art, you got me in “awe” watching you. This is just another quality added to the list of why you are the ISH! Seriously, Art’s attitude has been nothing but positive! It’s pretty amazing! Art! You make me smile and/or laugh every time I see you! Your positivity is infectious. Speedy recovery!